Secluded wooded resort with lake view, nature trails. It is a unique lodge built out of western cedar and fir and made up of over three and one half acres of glass. The lodge features both hotel type rooms with a view of the lake and cottages. Enveloped by rolling Bluegrass Country Hills, Griffin Gate Marriott Resort & Spa is a true urban oasis, located near area highways, yet secluded enough for guests to experience scenic Lexington resort ambiance. Enjoy a Lexington, Kentucky, hotel boasting locally inspired decor, convenient work spaces, Marriott signature bedding and the latest in technology enhancements. 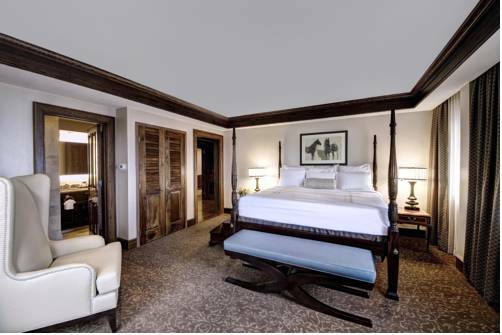 Completely renovated hotel rooms blend southern hospitality with unsurpassed comfort.